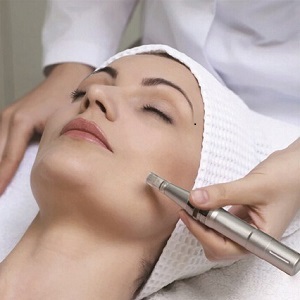 Micro needling works by producing up to 1 million microscopic needle columns in the dermis of the skin. This stimulates the skin to regenerate and repair itself naturally and safely. The micro needles excite the skin sufficiently enough to stimulate collagen and elastin production thus helping any skincare products to penetrate more effectively. This treatment includes consultation, skin preparation, needling therapy and protective rehydrating lotion. This treatment includes consultation, skin preparation, needling therapy, activated serum, rejuvenating skin mask, scalp massage, soothing skin treatment and post skincare maintenance mask to take home. Depending on your skin concerns a course may be recommended. 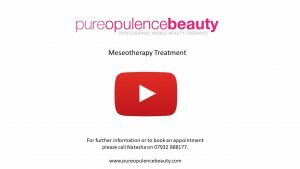 Click on the image to the right to watch a short video of what happens during a Mesotherapy treatment.